We are officially in the middle of the challenge! 7 weeks! I know it is a long challenge and we are moving through it slowly because it’s summer time! The cool thing about the challenge is you decide how deep you want to go with it. Some weeks you might dive really deep into the bonus content and others weeks you might just listen to the episode and mentally move through the challenges. The choice is yours. You decide what you want to get out of it and what you will take from it. This weeks challenge….ugh, I almost changed it and made it something else. It felt too strong. Too in your face. I mean week one, it was fun and empowering right? You picked your theme song for the season your in. And you picked some great songs, let me tell ya. Then week two, it was all about the lies we tell ourselves and how to replace them with truth. And thanks to those that were bold enough to share in the facebook group becuase I could tell the spirit was really moving and revealing some powerful things. Then last week we talked about community. And if you missed the Facebook live that I did on it, you should go check it out. It’s on the Your Life Rocks page and then I shared it to the group. I covered the top things/hurts/fears that hold us back from community and how to push through them. Then I came to get everything ready for this week. I was really stuck. I had to step away and really pray about it. I wanted to do something fun and more light hearted because this one just didn’t feel like it would be something you would enjoy. But then I remembered why we are doing this challenge. To empower you to build a life you love. A life that rocks. And this message is what it all boils down to. It’s kind of everything we talk about at Your Life Rocks. Everything it stands for boiled down to this one topic. So here it is. Want to know the most freeing thing in the world? You are the owner of your life. You choose how it all goes. If you life is where you want it to be, congratulations! You have made great choices in how you have handled this thing called life. Not happy where you are? Well, you own that one to. So we are doing it. We are talking about personal accountabliltiy for our own lives. This week’s challenge is very straight forward. For some of you, it might be celebration week. For others, it’s going to feel like a kick in the pants. As always, I’m going to guide you through this process very practically step by step and I’ll outline it all in the bonus content. Promise. Now, let’s first say, we are not responsible 100% of the time for what happens in our life, what happens to us and the things we walk through. We are responsible to how we respond, what we do with it and how we walk through it. It’s about being accountable for your own personal actions. And being accountable for your actions is a great truth….and it can be a scary one. This is especially true as we look at the balance in your life. Your level of personal accountability plays such a big role in how balanced your life is. After all, the life you have is the life you created. The best news? If you don’t like where you are, you can choose to change. Choose a different perspective, or choose to change the situation if you can. Ok, let’s dive right into the specifics of this challenge. I’m going to walk you through a 5 step process to evaluate your ownership over your life and empower you to craft the life you want to live. I pray that God would guide you through this process. Just like in our Life Balance Membership Bible Study/Goal setting course, you choose to build a life aligned with God’s word and teaching for the areas of life or not. It’s my prayer that you would choose to craft a life that honors him and his will for you and not just what your flesh desires. When we talk about building a life you want to live it’s always with the desire that you would seek a life after God. But again that is a choice. Write just 1-3 obstacles that are keeping you from where you want to be for each category. Reality check! Highlight any obstacle that you feel is out of your control. This could be because of the actions of others or having enough time or money. I want you to pick the category that is the highest priority for you in the moment. Pleases note that they are all high priority, but sometimes there is one category that is causing the most pain, or stress right now. Let’s work with that one. Look at the things that you highlighted for this area. How can you take back your power? What actions can YOU do to make a difference and move you forward? Example: Let’s say that you want to work on your marriage. You might be thinking, “Well, it’s a two-way street and he isn’t doing his part. I want more communication in our marriage, but he won’t communicate.” You can’t change other people, but you can change yourself. What things can you do to communicate more? How can you create space for him to communicate with you? Maybe it’s asking more questions or not planning your day so full that there is no time to connect with him. Find the action items that you can do. Earlier I referenced the Life Balance Membership and Setting Goals after God’s will bible study. 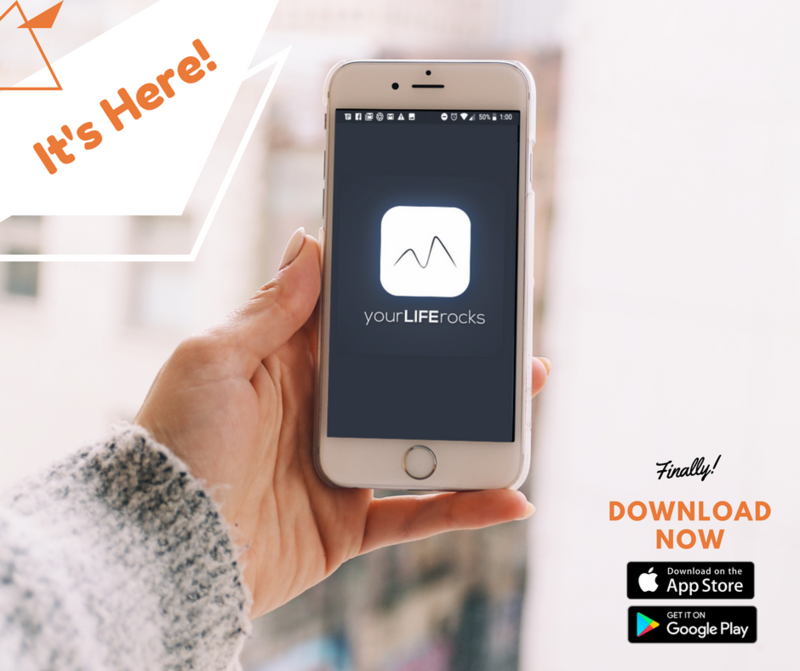 Life Balance Membership is currently not accepting any more enrollments as we prepare for the launch of our new app coming in August. Existing membership content like the Bible study will be part of the Membership access of the app along with some new content that I am excited to share with you all. So stay tuned for updates. Hit subscribe so you don’t miss next week as we dive into week 5 of our 7-week challenge. And until then, keep building a life that rocks.